Wow, it’s been quite awhile since I’ve blogged. Life has surely gotten away from me – but still not a good excuse. I’m grateful that you all have been here, reading my articles for years. For those of you who aren’t aware, I’ve been coaching actors on their upcoming auditions and jobs. One-on-one private coaching is a critical part of auditioning and it’s always good to get another set of eyes on your performance before you take it into the room. Just reach out through email, (liroffcasting@sbcglobal.com) and we can set up a date and time to work together in person or through Skype or Facetime. I assist working actors only. Here come the holidays. For some actors, family time triggers dread. You may be barraged by the litany of questions actors love, like, “What are you working on?” Trying to justify what you do to those who don’t quite “get it” is not only tiring, it can be psychologically traumatizing. For me, it wasn’t until my parents saw my name on the big screen that they finally had a modicum of understanding of what I do for a living. I want to help you combat the psychological fatigue in these situations. Go into these gatherings from a secure emotional place. Of course, that’s easy to do when you’re working. But what about when you’re not working? How do you explain to someone who’s not in the business what your day-to-day life is and that you don’t get as many jobs as you have auditions? You’ll have to quiet that vulture that sometimes crawls up on your shoulder to squawk at you. You know the one. The vulture that tells you you’re not talented and you’ll never get a job. The one that says you’re wasting your time. You’ve got to come to terms with your inner vulture before you can begin to deal with those around you. 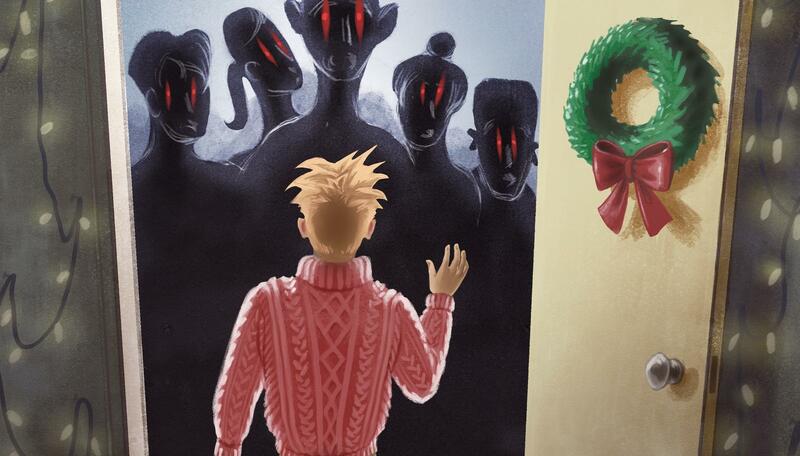 Self-doubt can be a killer—especially over the holidays. Remember that what you’ve chosen to do is be an artist, a storyteller. If earning a living was a quantifier for how talented you are, most famous artists would have never even picked up a paintbrush or a pen to write history’s greatest works. Go back to the reason why you got into this in the first place. Spend a little time in that mental space and remember everything you get out of your chosen path, and own it. Yes, own it. These small changes in your mindset will help you deal with others, because if you feel comfortable about yourself and your choices, their opinions won’t matter as much. Another issue over the holidays is feeling guilty about leaving Tinseltown (or your given acting market). Some say that a sure-fire way to get a job is to buy a plane ticket. Yet, we constantly feel the need to stay in town just in case we get an audition. With self-tapes becoming the norm, all you need is your cellphone and a willing scene partner. (Please don’t use your grandmother, unless she’s an actor!) There’s a great resource called WeRehearse, where you can find a reading partner and also record your audition on the site. All you need is a fast internet connection on both ends. But let’s dig deeper: You have to get out and give yourself some downtime. 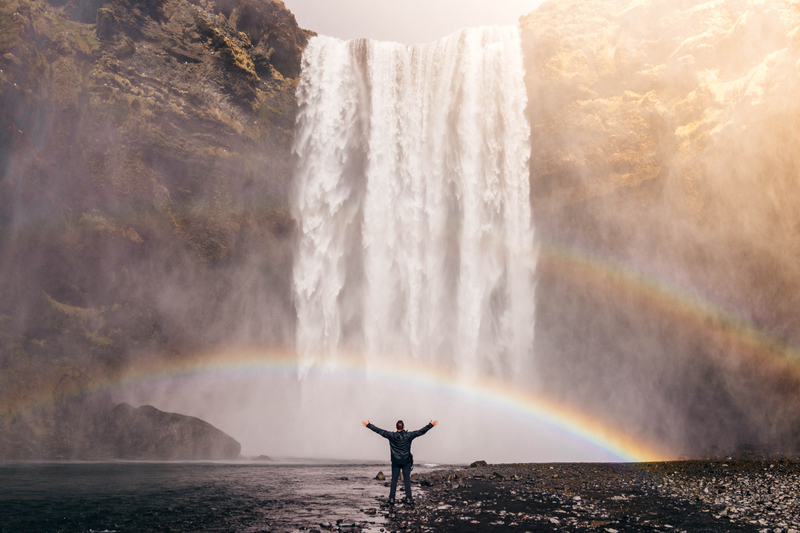 If you’re not refilling your well of life experiences, you’re not living fully. Actors need to experience the good, the bad, and the ugly so that they can draw on them firsthand. You need to get out there and see your family and friends; unplug as much as possible. Identify what the important things are for you and plug into them. That could be as simple as volunteering your time, spending more time with your kids or pets, or helping your elderly parents. From the bottom of my heart, I’m wishing you all a blessed holiday season! Make sure to check out my online course “How To Audition For Film and Television: Audition Bootcamp”. You can view it on your laptop or your mobile device and your subscription gives you lifetime viewing privileges for this course. I’ll be adding lectures throughout the year. Like this story? Help spread the word! Click to tweet! How To Practice Self-Care This Holiday Season – a must-read over the holidays. In this business, and in life actually, there are so many elements out of your control. You don’t look right with our lead, you look too much like the writer’s ex-wife, you’re too tall, too short – you get the picture. The one thing you are in control of is your perspective. You get to choose how you are going to feel about not getting the role. No one can take that from you. Are you going to kick yourself time and time again after each audition because you didn’t do what you wanted to do? Or are you going to learn from it – specifically learn from what went wrong or what sent you off the rails. Are you going to continue to let that voice inside your head that says “I’m not right for this – I always screw up in comedy – I’m no good” or are you going to master that voice and banish it not only from the room, but your head forever. You have this choice. If you stop thinking, “I’ve got to get this role,” and make it your mission to walk into every room being über prepared and do what you came there to do, you will succeed. If you make a subtle shift of your mindset so that your goal isn’t to get the job, but to consistently come into every room, knock it out of the park, and build relationships for the future. You want casting directors to bring you back multiple times on all their projects because we know we can trust you. Remember that we’ve considered thousands for the role, (check out my article Auditions Can Be a Numbers Game) narrowed it down to auditioning about 30 actors (sometime hundreds depending on the role), and if you were chosen as the final two you’ve already won. I know it may not feel that way, but that’s where your perspective comes in. 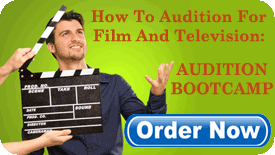 Make sure to check out my new online course “How To Audition For Film and Television: Audition Bootcamp”. You can view it on your laptop or your mobile device and your subscription gives you lifetime viewing privileges for this course. I’ll be adding lectures throughout the year. Like this story? Help spread the word! When I’m casting and coaching, these questions have come up too many times to not address the subject. Stop doing this to yourself. You can’t figure this out and shouldn’t be spending any time trying. You’ve been chosen from thousands of submissions to audition, so you’re already a winner. “Wait just a minute, Marci. How did I win when I didn’t get the role?” Let me break it down by the numbers to help explain. When I am casting a project, I come up with my lists. These lists are part wish lists, part reality lists, and part thinking outside the box and being creative. I have staffed my office with highly qualified individuals who have also cast films on their own. We put our heads together to come up with ideas based on our many years of combined experience. Then I reach out to my agent and manager colleagues for their suggestions. We now have a huge list of ideas for a role. 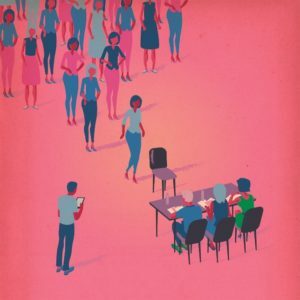 In this digital age, agents and managers often submit as many as 3,000 actors for a single role on the first day. Then we have the delicate task of going through each and every submission to decide who fits the role. Between our casting office’s initial lists and the submissions, you can imagine it’s a lot. On a film, depending on the size of the role and scope of the project, we may bring in a couple hundred actors for the lead role, along with viewing several hundred self-taped auditions. Imagine if you were chosen to audition out of thousands of actors. The other 2,800 actors didn’t even get the chance that you did. You have the opportunity to meet face to face and perform for the casting office. If you’re good and right for the role, we’ll bring you back and continue to foster you through the casting process. If you’re good but not right for the role, you’ve made a lasting impression on us and we’ll remember you for another project. I’ve never met a casting director who didn’t have an impeccable memory. Even if we don’t, we are known for our organization and you can bet we took very precise notes for the future. We depend on these meetings and our notes. We’ll remember you for the next project and bring you in because we saw that you were a facile actor. We may have an offer out to an actor and still hold auditions. Sometimes we shoot for the stars (all puns intended), yet we have an inkling it’s not going to work out. Nonetheless, the role still needs to be cast, so we keep on going. My office will always alert the agent that there’s an offer out so that the actor can decide whether he wants to come in. I always suggest you do, because there’s really nothing to lose. All the preparation you do when you come in and give a great audition isn’t wasted; it helps build relationships and we will always remember that great performance. Like this story? Help spread the word. Read Marci's articles in BACKSTAGE MAGAZINE. Would love to read your comments - so head on over there and leave them on the article itself so we can all share. "A wonderful mentor. Marci works with the best of the best, so she brings that experience into light with the new actors she meets. Being well grounded she looks at things from all perspectives and shares her keen insight. It's a welcome space for working actors to meet, grow and network within a positive environment. A lovely experience." "Marci's Audition Bootcamp was exactly what I needed to better understand the anatomy of the audition. Her experience as a casting director and her wealth in character as a person make the class a delight and leave you with more than your money's worth. This is not a class where you are simply being preached at, rather, it is a forum for actors to share their experiences under the guidance of an industry veteran. I left the class feeling prepared to tackle auditions with a confident perspective and an appreciation for the good souls still thriving in this business." "Marci Liroff and her Bootcamp are a must if you want to act in Hollyweird. Marci is one of the rare people in this business who has a huge heart and cares about the project and the actors. She is an actor's casting director for sure and it is a pleasure to work with her as a filmmaker as well. She has a great eye for talent, she is honest, intuitive and supportive. I not only want to audition for her on any project she's doing, but I will be hiring her to cast my films as well. Bonus!" "Marci is so much more than a Casting Director. After being cast in a project by her, working with her privately and in class, Marci has become a much needed teacher and mentor in a difficult business that can leave an actor feeling frustrated and confused. She truly wants us to succeed, and I am forever grateful to her for sharing her vast knowledge with me." "I have taken a lot of classes and even produced a few and I have to say that Marci Liroff's Bootcamp is among the best of the best. You get to go through the process of preparing your audition from First Read to Producer's Session. Her feedback is honest and constructive, focusing on how the actor can best bring what is unique about themselves to the part, making your performance stand out from the others. Marci also brings in great guests - Writers, Producers, Directors & Agents currently active in the business. She stresses the dual focus of the industry: Craft & Business and how the successful actor works on both sets of skills." "Breaking walls is key to acting and Marci demolishes the fears and misconceptions of auditioning. She is the actors' casting director and wants you to shine as bright as you can. Professionalism is important in the industry but having character and exuding personality is what will make your performance memorable. Marci guides you into the reality of the script and helps you become a better messenger." "The title of Casting Director/Producer is obviously EARNED when you study her background. Before you journey into ANY casting office...learn what the BEST casting office would want to experience from you in the audition process. Start your adventure in front of Marci Liroff because of the multifaceted way she looks at each and every one us actors, how she holistically informs us to bring the choices we individually want to bring to the material. "Whatever mistakes you make auditioning, you'll never make them again after Marci Liroff's Audition Bootcamp class." "Marci helped me understand that casting directors are on our side and WANT us to succeed. She boosts your confidence while also being honest and straightforward. (That's a neat trick, by the way, Marci.) Her class is a helpful, entertaining mix of hands-on experience, industry insight, and personal career guidance. Not bad when you usually pay twice as much for half the information and opportunity!" "I highly recommend Marci Liroff's audition bootcamp class for actors at any level of experience. She has a genuine love for actors and a great respect for the craft. Her insights are clear and direct and I truly felt as though I was able to stretch with the material that I was given. I am a better actor for having gone through this, and more empowered with knowledge on the audition and on the perspective from a top notch casting professional. Plus, every class was taped and each actor was able to take home their work. An added bonus! Thanks Marci for giving me the space to play!" "I had a wonderful experience taking Marci's Audition Bootcamp. I learned more in 3 sessions than I have in any other acting class. Marci was very informative and gave great feedback that I would definitely incorporate towards my work in the future. I highly recommend taking Marci's Audition Bootcamp! Thanks Marci!" "Marci's Audition Bootcamp was such a wonderful experience. Not only did I get great advice and feedback from Marci, but from all of the incredible guests she brought to class. Marci's class was very personal, and she paid special attention to each and every one of us. I strongly recommend this workshop to both beginning and advanced working actors." "Marci's Bootcamp was an outstanding experience. She created a comfortable, inviting environment within which to work, and we had many helpful, insightful guests. Marci also gave us some great tips, strategies, and ways of preparing that I hadn't considered before, but will use from this day forward before entering an audition. It's the best class I've taken in years, and has had a direct result on helping my confidence in the audition room." Thank you for being such a bright shining force in the industry. Your class was enlightening and motivating. Your words of advice were invaluable and the guests you invited truly helped humanize the business. Thank you for sharing your vast experience with us and for introducing us to other kind, humble, talented individuals in the industry. I have never walked away from an audition class feeling so informed, confident, and knowledgeable than I have from Marci Liroff's Audition Bootcamp. By actually simulating the audition process from first read to a producers session, she breaks down the process with expertise advice, pure compassion, and genuine critique. Marci has such deep and rich experience in the business, she can connect with any actor on any level. If you are a serious actor and want the knowledge of how you can make or break your next audition, you need to attend a class with Marci Liroff. Taking Marci's class was one of the smartest moves I've made since moving to LA. She truly cares about actors and wants to help in every way possible. I have a new outlook on auditions after seeing how much Marci, as a casting director, wants actors to succeed in the audition room. She answers all questions and gives guidance from her vast experience with actors, directors, producers, and other casting directors. She creates a safe space to take risks, ask questions, and learn. This safe space also allowed me to create bonds with other actors in the class and expand my network even more. I'm thrilled to say that I've found a mentor in Marci and that I now have new tools to confidently tackle any audition that comes my way! Working with Marci was an invaluable experience. In a unique format of classes, Marci has created a positive and encouraging learning environment which fosters creativity and growth. The weekly open 'actor forum' was highly encouraging and educational and the multiple special guest speakers were fascinating and truly inspiring. Marci truly wants her actors to work hard and be the best they can be. By participating in the ‘Audition Bootcamp’ and having Marci - a nurturing and generous mentor, guiding you along the way – I know I am well on the path of doing just that. Marci Liroff's Audition Bootcamp was an amazing learning and transformational experience for me. Marci shared so many valuable and useful insights on auditioning process with us that I have been using in my auditions ever since. I greatly appreciated forum like atmosphere where we all could participate and share our experiences. Having guest speakers from the industry coming to share their perspectives was invaluable. I loved every minute of the class. Thanks, Marci! I took Marci Liroff’s Audition Bootcamp and I cannot be happier that I did! She had an incredible amount of advice and information about the audition room that I had never heard before. After taking her class, I applied some of the things I learned to a few auditions and I felt that my performance and comfort level had both increased. I felt a confidence that I haven’t felt in a while and I credit it to her class. She brought in two industry professionals who also gave great insight from their own industry experiences that were such a bonus to her class. One of them was an actor himself, and he explained all of these very technical ways that he keeps track of his auditions and professionals in the industry that he knows. That information was a great tip and is helping me keep organized myself. Marci is simply wonderful. Her Bootcamp is an amazing opportunity for anyone looking to sharpen their audition skills and understand how to be in the room. Not only does her perspective come from years of casting experience, but from an understanding and appreciation for actors which is simply amazing. She's a true gift and her Audition Bootcamp is a must! It's the unknown that makes this business scary and Marci not only demystified the process, but also gave one a sense of empowerment; giving me permission to do what I love, which is help filmmakers bring characters to life they have created on the page. Marci's Audition Bootcamp was an eye-opener for me. 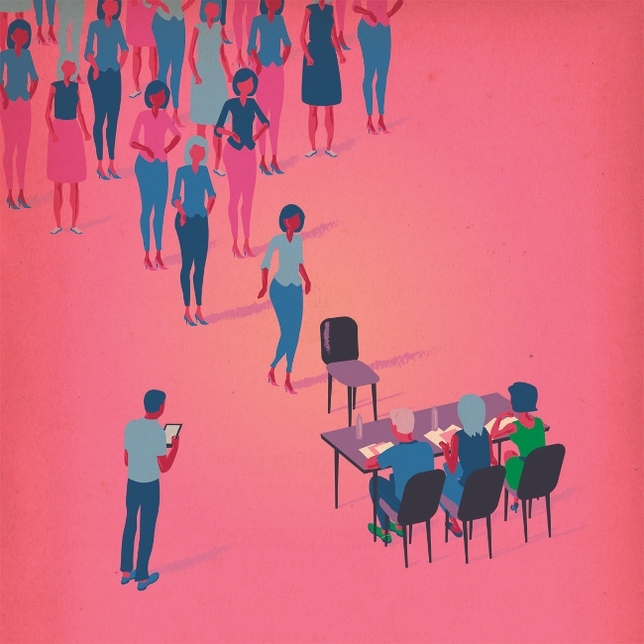 Want to know how casting directors think? Take this class. Want to learn how to prep a script for an audition? Take this class. Does going to auditions make you nervous? Take this class. Marci is an amazing teacher and coach. Her class is invaluable and I'd recommend it without hesitation to all my peers! Marci is truly a gem! She is knowledgeable and involved in so many aspects of the business, it was a privilege to learn from her. Her Audition Bootcamp was priceless in taking us through the whole range of experiences in the audition process with guidance and help the whole way. Her feedback was not only spot on but inspired and made me feel more confident in my auditioning. Marci creates a community environment in the class and encourages learning from others as well as her. I feel that in a three week period I have gained a mentor and a colleague, a rare treat! 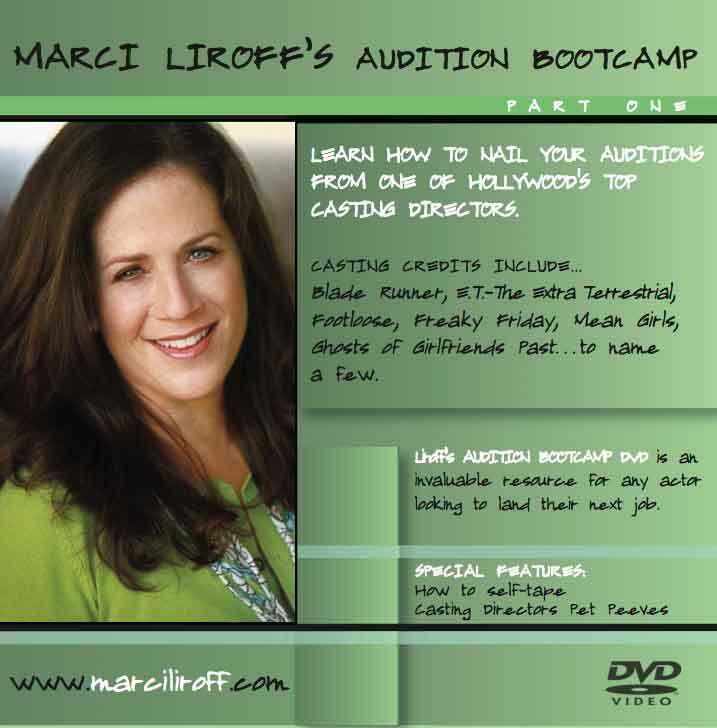 I took Marci Liroff's Audition Boot Camp. It was one of the best classes I've taken as an actress. I don't even consider it a class but more like "Tools For Life as an Actor". It gets to the brass tacks of how it really goes and holds no punches. I grew as a person as well as an actor. Thank you Marci! From the beginning actor, to the working professional Marci makes you feel like all things can be possible with the right confidence and mindset-which she gives you!! Since she has been in this business for so long her abundance of knowledge makes you feel like you can handle it all- knowledge is power ya'll!! Marci makes you part of the picture all while keeping her professionalism, class and love for it all!! Take her Bootcamp and RIGHT NOW!! If you're debating whether or not to sign up for Marci's Bootcamp: DO IT. Not only is Marci's experience and insight invaluable, but she brings in guest speakers to reaffirm and add to the wealth of information she provides. This class will keep you accountable and make sure the next time you go into an audition, you're booking the room-- not just booking a role. Marci Liroff is a powerful teacher, mentor, and coach. Thanks to her class, I was able to overcome business-related anxieties and reconnect with the truth that made me love acting so much in the first place. When I signed up, I expected to learn how to audition and book jobs - but to my surprise, Marci taught me so much more than that. I have spent thousands of dollars on business classes, marketing materials and acting coaches, but this class was truly the best investment I have made for my career so far. THANK YOU, Marci! I couldn't describe it any more purely. Marci's 3 week Bootcamp was all and more than what I expected. Her wealth, knowledge and passion for actors was refreshing and humbling. She has an incredible respect for the craft and is also personable with you regarding the work you do within the weeks. I've truly found a mentor in Marci and am happy to say I walked away with not only knowledge I need to know on the craft as an actress but a casting director/producer/director perspective and how they also go about the process of this business. It was a bonus to also have some amazing special guests join the bootcamp. I highly recommend Marci Bootcamp to any actors who want to go that step further of gaining strong feedback in your work as an actor but anyone thats passionate about truly understanding the 'business' of the entertainment world. Thank you Marci for a wonderful master class. Time just flew by which meant that the class was amazing. I personally learned a lot from you, as well as from the guest speakers who were top notch incredible. What a plus! I love that you are so professional and it really pushed me to be my best. Your classes are the real deal; informative, truthful, and fun! This is truly one of the best classes I've been to in all the time I've been in LA. She also gives valuable insights on how the whole industry works, so that you can better understand why things happen the way they do. It was the best investment I could have made towards my career. And I believe it's no coincidence that after learning the tools that Marci taught me, I booked a cable network job on the first audition I applied them to. After not working for 17 years prior to Marci’s Audition Bootcamp, I have been booking jobs nonstop from the moment the class ended. If I could take the class over and over again, I would just to mine the nuggets of information from Marci and her lifetime in the real world of the Entertainment Business. This training was an absolute boon for my acting career. Marci is both forthcoming and heartfelt in her deep desire to impart practical experiences to move you forward in the business. In addition to the on-camera training, and industry guests, an added bonus is the camaraderie you will develop with the type of actors she attracts as well as the valuable opportunity to ask her all of your industry questions. She has a lot to share and every moment spent with her is a treasure. I recommend this class with the highest of praise. Marci's vast experience and knowledge, mixed with her great energy are a breath of fresh air for actors searching for answers. This is a workshop with real teaching happening! I watched her change performances with one sentence. Actors get so caught up in making sure we are doing it 'right' and giving them "what they want". Marci reminds us that we have to be our unique selves or we're wasting our time. Your class was different: you care. On an individual basis, you care. The class size was perfect, your comments were spot on, and you encouraged us and showed us how things are from your side...you brought us in. It was like having a friend show us the ropes. And it wasn't all about impressing you with the faint chance of you calling us in for the role that will change our lives. It was about learning, self improvement, and empowerment. And us, as actors and people, taking control of our lives and giving ourselves accountability. Marci has well over three decades of experience casting for the heavy hitters of American cinema, and it shows. I've taken a number of helpful auditioning courses with some great instructors, keeping up with industry standards the best they can. But Marci's the first instructor I've been to who actually sets those standards. Her classes are selective in who they enroll, which as an experienced actor, I appreciated. You're getting the inside scoop from a major industry pro, rather than the elementary basics in those courses aimed at beginners. It's a completely different level. It also means you'll be watching more enjoyable performances from your classmates, thank god. Marci has a keen sense for what works and what doesn't in a performance and knows exactly how to communicate it. She also has an almost supernatural ability of knowing when an actor is struggling for a line before they've even realized it themselves. She gives constructive and to-the-point criticism, but only when necessary. Her sharp eye for a good performance tells her when to leave well enough alone, which is something I've rarely seen in any class. I'd recommend her course for anyone serious about the business of acting. While I consider myself to be a good actor, I've often struggled with the audition process. Marci's Audition Bootcamp was a game changer for me. The specific and tactical guidance she shares on owning the audition process and getting rid of your walls changed the way I look at my trajectory--not 'just' as an actor, but as a person. Marci's class is the ultimate toolkit for Actors in the audition room. So often as an actor you can feel powerless or out of control, and the gift here is learning how to take the power back, to unravel the mystery on the other side of the table, and to put yourself in a position of understanding and taking advantage of the things you're able to control so that you can let your craftwork shine through. If you want to be seen as a collaborative asset (that you know you are) by casting directors, instead of the sweating bundle of nerves we can all sometimes devolve into that obstructs our work, she is the teacher to learn from. I took Marci's Audition Bootcamp because of a video I had seen on her site, in which she very wisely reminds actors to switch their perspective in the audition. She points out that from the get-go, you as an actor need to view yourself as a collaborator with other filmmakers, who very much want you to succeed. Her obvious care for actors, her compassion, wisdom, and the way she articulated her message, were all motivating factors for me to sign up for the course, and were all clearly present within the course itself. She immediately put us at ease with her warmth, humor, and humanity, and encouraged the same in us. We learned so much valuable insider wisdom, do's and don't's from a casting director's personal perspective, insights into the power of body language and energy, and even got a glimpse into what the casting breakdowns look like from the other side. The guest speakers were also a great bonus -- we got to hear anecdotes and honest straight talk about casting, acting, and the business. The most valuable thing I took away from the class was a re-kindling of my love for the process of acting and and a new appreciation for the auditioning process itself. Thanks to Marci, I will always approach my auditions from hereon in as another opportunity to play. That's a game-changer, and I'm very grateful to have been reminded of it. Marci's caring and respect for actors was evident the minute she stepped into the room. The education I gained took my professionalism to the next level. Thank you Marci. Marci's Audition Bootcamp gave me so much more than knowledge and experience with the audition process, I also learned how to continue researching on my own in order to improve my craft and confidence. I'm grateful that Marci didn't just give me instructions on how to fly, but helped me build my wings to fly higher.